Tacita Dean’s (2004; cited in Carvajal, et al. 2008) description of the facade of the now demolished Palace of the Republic evokes the ambiguities surrounding its erasure from the city fabric and the wider dilemmas of presencing the GDR past (Macdonald 2013). Having visited the site over a decade later, walking around the construction site of the new Berlin Palace, I could not find any traces of the artist’s experience. No remnants of the “house of a thousand windows” are to be seen. 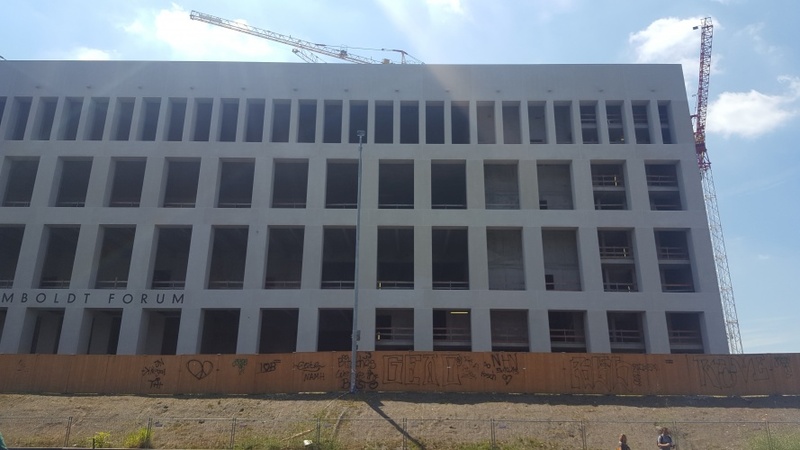 The emerging Berlin Palace – intended to house the Humboldt Forum – is not a light trap. With its empty windows, this raw, matte facaded concrete structure appears similar to many residential blocks found in post-socialist cities (image 1). 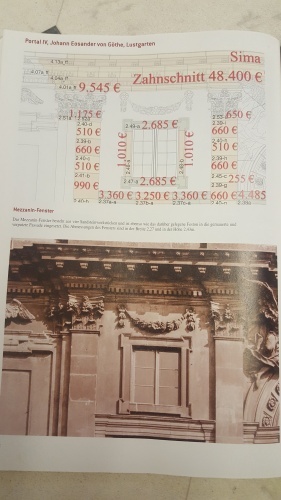 The accompanying fundraising catalogue meticulously presents the cost of every part of the building’s future window decoration – members of the public are encouraged to make financial contributions to the new palace’s expensive baroque ornaments (image 2). On the opposite site of the river, with an entrance directly facing the construction site, the DDR Museum is strategically positioned to cater for those who want to learn about the formerly divided city in situ. Alongside other GDR heritage sites and museums scattered around Berlin, such as the Stiftung Haus der Geschichte Museum in the Kulturbrauerei, the Cold War Museum, Checkpoint Charlie, the Stasi Museum, Berlin Wall Memorial Bernauer Straße and others, the DDR Museum represents one of the many facets of Berlin’s GDR past. As a visiting researcher at CARMaH, I spent an afternoon at the museum tracing the material from the demolished Palace of the Republic and participating in its guided tours. This short review emerged out of the visit experience and from discussions with the academic researchers at the Department of European Ethnology at the Humboldt University in Berlin. A window into a socialist past? Alongside these objects that emphasise monumentality and status, a display cabinet presents a restaurant menu and a coffee set. These functional artefacts remind of the utilitarian uses of the Palace and its numerous amenities, restaurants and entertainment venues, bringing up the social memory related to daily life of the space. This display (image 4) evokes one of the key dilemmas of ‘past presencing’ GDR material culture – reconciling the ambiguities of the mundane and the political, the monumental and the ordinary. On entering the GDR apartment exhibition space, the first German-speaking tour guide jokingly remarks that some visitors come into the space and immediately notice the lack of windows. This is just a museum – he comforts them – there were windows in socialist blocs. In a dictatorship, the guide explains – everything is government-controlled – life is characterised by homogeneity and scarcity. There is no individuality like that found in the West – everything is geared towards uniformity. Objects are produced fast, cheaply and all look the same. The guide points at the toilet tiles – in the GDR these were seen as a scarce resource – produced almost exclusively for export. 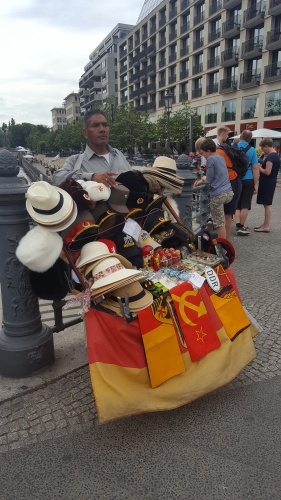 He proceeds to explain the co-dependence of GDR manufacturing and West German consumption – the Westerners were supporting the dictatorship through purchasing cheap Eastern products. He remarks that this morally dubious exchange is similar to our consumer behaviour now. The German tour of the living room begins with a question: Where can you watch TV from the toilet? In the DDR Museum! As with the windowless room, the toilet’s lack of a door is not a reflection of actual living conditions under socialism, but rather explained as a mere decision of museum design. “There were doors in the GDR”, the guide reassures. The guide proceeds with a description of GDR television, emphasising the political uses of media and the risks associated with tuning away from state propaganda programmes. He tells a story of GDR children being asked by their teachers about the look of the clock shown before TV news programmes. Via the child’s description of the clock’s hour markers – points or stripes – a teacher could learn whether the children’s parents watched East or West German television, and report them to the authorities if the latter. 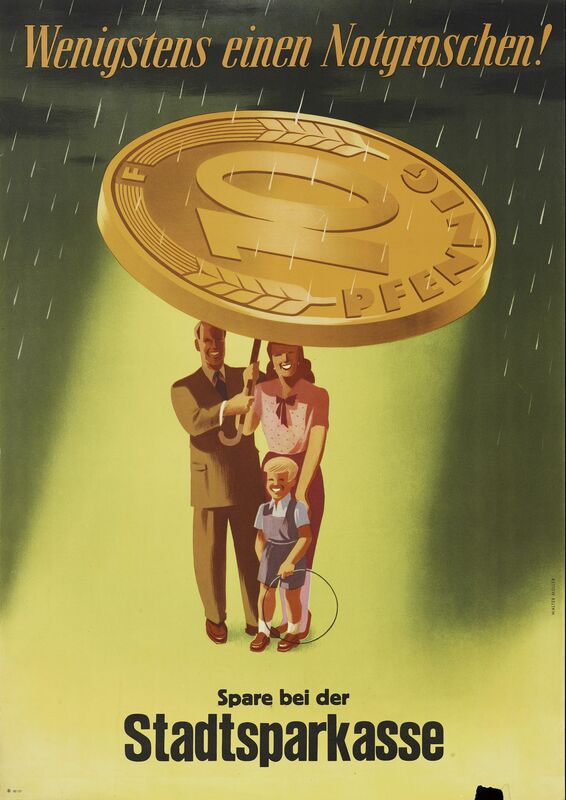 On the next tour of the exhibition, our German-speaking guide focuses on the specific mode of consumption under socialism. All products and domestic objects – he explains – were unified to reduce social tensions – the logic was that the same products meant no jealousy and this led to lack of war. At the same time, he points out, enforced uniformity inevitably led to “problems with being an individual” and most East German citizens had “arranged their lives” to overcome the state-imposed similarities. Illicit Western music in a cassette player was one of the many examples of tactics of resistance. Beyond the mode of dictatorship-led interpretation, the guide presents a reality of negotiations and tensions of everyday life. As another English-speaking tour enters the space, the guide lifts a wall painting to reveal the “bug”. We are being recorded; in the East your private sphere is infiltrated by the Stasi. The recording device is situated opposite the television set – almost all East Berliners had a TV set to watch West German channels. “You’re trapped in the communist world” – the guide concludes – “but you can still watch West German news”. The guide explains that television was instrumental in building an appetite for a Western lifestyle. After the Wall fell and welcome gifts were offered from banks for their new potential customers, many went to pick up the welcome money (Begrüßungsgeld) to use it in purchases in West Berlin’s department stores. The former East Berliners commonly chose products they had seen on West German TV. In this way, the guide explains, “TV played an important role in bringing together the nation” after reunification. The last tour is presented to a group of German adolescents. The visitors are encouraged to pick up the phone to listen to people speaking with a “bad Saxon accent” and take a group photograph while exclaiming “Stasi”. The discomfort of socialist life is best exemplified through toilet paper – grey and uncomfortable. It was lucky that the regime was stopped by a friendly revolution – so unusual in comparison to what has recently happened in Ukraine – the guide remarks. It is important to know history – he continues – in order to identify certain patterns and tendencies. He mentioned that we are currently experiencing a situation in Poland and Turkey comparable in some ways to Germany in 1935. After this introduction, the group is invited to further explore the contents of the room. For Susan Buck-Morss (2002), domestic space under socialism was a place “where people actually experienced the differences between socialism and capitalism in daily life (byt), both as dream and as reality” (2002: 190). The living room presented in the DDR Museum and interpreted by the tour guides evoked dream-like qualities of a multifaceted, ever-changing place of control, enforced uniformity and struggle for individuality. Notions of entrapment and acts of everyday resistance are evoked, bringing out discomfort of things as well as notions of homeliness. Paradoxically, the tour guides’ kaleidoscopic interpretations of the domestic space are reminiscent of a Soviet anecdote reported by Geoffrey Hosking. A listener calls the Armenian Radio with a question: “Is it possible to foretell the future?” The presenter answers: “Yes, no problem. We know exactly what the future will be. The problem is with the past: that keeps changing.” (cited in Watson 1994). In the DDR museum’s eerie representations, the imaginaries of “grey life” under dictatorship are punctuated by “Stasi” jokes. Repeatedly, the typologised realism of interactive in situ display is being contested by the guides who emphasise the artificiality of the space, reminding the visitors that “this is just a museum”. Representations of the GDR past have been one of the most problematic challenges of German historiography and museology. 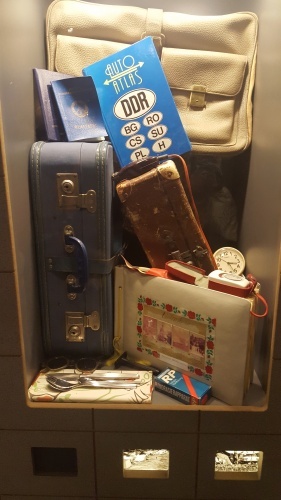 The DDR Museum, like many other private museums presenting the period, was built on donations of everyday material culture and chose to focus on daily life. As one of the tour guides pointed out, some of the contributors of the collections have sent their objects with labels. He pointed to a photo album sent by an anonymous donor with a homemade, printed label stating: “Typical GDR holiday album” (bottom object – image 5). This object signifies the ambiguity of the artefacts – was the album of a typical type, did it represent typical destinations or did it denote a typical GDR family’s holiday experience? This ambivalent act of giving away personal belongings and self-classifying them as “specimens” of the time is typical for the challenging processes of musealising the GDR. Objects such as a family photograph or the Palace building where many East Germans met for meals do not escape the ambiguities of classifying and interpreting GDR material culture and its museological representations. For me, this accumulation of GDR objects in the shadow of the erased Palace is the greatest contradiction. Taken together, as a paradoxical whole, the demolished building and the crowded museum demonstrate that the representation of the GDR and its material culture remains a space of tensions in Germany. Complex histories and multiple memories, absences and conflicting reconstructions of the past are drawn together. It remains to be seen what the position of this part of Berlin’s past in relation to the new Palace and the Humboldt Forum exhibitions is. Will the GDR past enter the future-oriented, cosmopolitan vision of the new Forum? Or will it always be relegated to its shadows? Berdahl, D. (2008) ‘Re-Presenting the Socialist Modern: Museums and Memory in the Former GDR’ in K. Pence and P. Betts (eds) Socialist Modern: East Germany Everyday Culture and Politics (Ann Arbor: University of Michigan Press), pp. 345–66. Bach, J. (2015). Collecting Communism: Private Museums of Everyday Life under Socialism in Former East Germany. German Politics and Society, 33(1/2), 135-145. Buck-Morss, S. (2002). Dreamworld and catastrophe: the passing of mass utopia in East and West. MIT press. Clarke, D., and Wölfel, U. (Eds.). (2011). Remembering the German Democratic Republic: divided memory in a united Germany. Springer. DDR Museum. 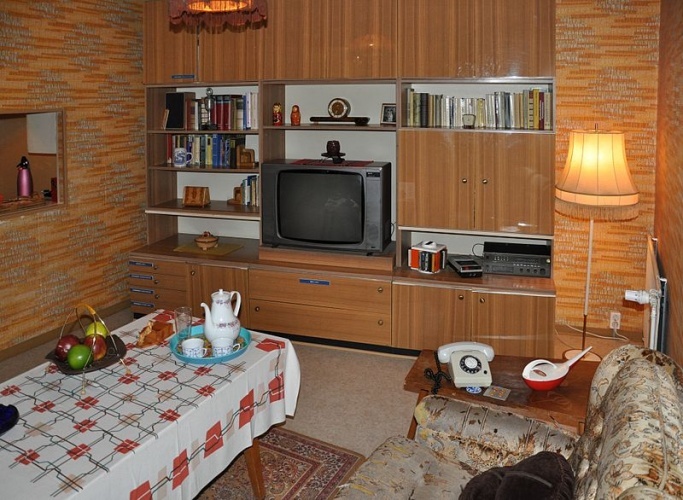 The permanent exhibition of the GDR Museum focusing on everyday life in the GDR. Available at: http://www.ddr-museum.de/en/exhibition. Accessed: 27 July 2016. Dean, T. (2008) ‘Palast’. In: Carvajal, R., Dean, T., & Fer, B. Tacita Dean: film works. Charta. Jampol, J. (2012) ‘Problematic Things: East German Materials after 1989’. In: Divided dreamworlds? : the cultural cold war in East and West. Romijn, P., Scott-Smith, G., & Segal, J.(eds.) Amsterdam University Press. Macdonald, S. (2013). Memorylands: heritage and identity in Europe today. Routledge. Ludwig, A. (2011) ‘Representations of the Everyday and the Making of Memory: GDR History and Museums’. In: Remembering the German Democratic Republic: Divided Memory in a United Germany, David Clarke and Ute Wölfel (eds). Palgrave Macmillan, pp. 37-53. Saunders, A., and Pinfold, D. (Eds.). (2012). Remembering and rethinking the GDR: multiple perspectives and plural authenticities. Springer. Watson, R. S. (1994). Memory, History, and Opposition. School of American Research Press. Winkler, A. (2015) ‘Remembering and Historicizing Socialism: The Private and Amateur Musealization of East Germany’s Everyday Life.’ In: Exhibiting the German Past: Museums, Film, and Musealization. McIsaac, P. M., & Mueller, G. (Eds.). University of Toronto Press.